Kristen Jaymes Stewart (born April 9, 1990) is an American actress and model. 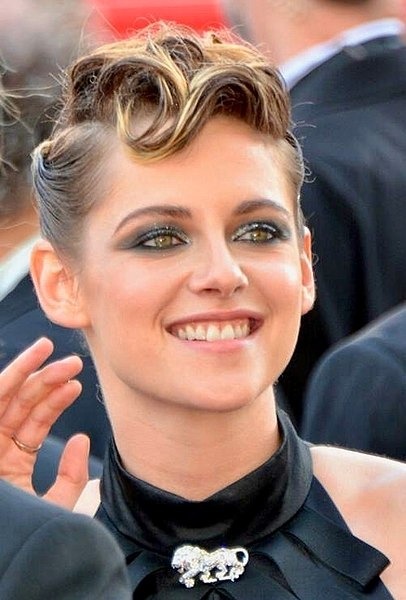 Born in Los Angeles to parents working in show business, Stewart began her acting career in 1997 with uncredited roles and a minor character appearance in several films. She gained notice in 2002 for playing Jodie Foster's daughter in the thriller Panic Room, which garnered her a Young Artist Award nomination for Best Leading Actress in a Feature Film. She went on to star in Speak (2004), Catch That Kid (2004), Zathura (2005), and Into The Wild (2007), for which she was nominated for a Screen Actors Guild Award. She received widespread recognition in 2008 for playing Bella Swan in The Twilight Saga film series (2008–12), which grossed over $3.3 billion worldwide. Read more on Wikipedia.